The building which houses the Edwards County Historical Society Museum at 212 West Main Street in Albion dates back to the 1850s when the front portion of the house is said to have been built by Richard Pickering. In 1862, Richard Pickering and his wife, Emily (Tribe) Pickering, sold the house to Jesse Emmerson. The house, as lived in by the Jesse Emmerson family, consisted of the front portion of the present building, which is divided into two rooms on the first floor and two rooms on the second floor, each 16 foot square. A chimney was built into the central partition, with open fireplaces in all of the four rooms. from the rear. The front entrance was through two doors, opening on a long front porch one story high. The interior was finished in yellow poplar; the floor of wide boards; the window and door trims of handmade molding, and the doors themselves of heavy, very plain construction. The weatherboarding was also of poplar. Running north from the west end of the porch was another room, used as a kitchen; and cornering on the northwest of this was a brick building 12 feet wide by 14 feet long, with the floor slightly below the outside ground level, and enclosing a smaller brick compartment, for added protection from freezing of canned fruit and other perishables. Louis Lincoln Emmerson, son of Jesse Emmerson, was born in this house on December 27th, 1863 and lived here for the next 20 years until he struck out for himself in 1883. Louis Emmerson served as Illinois Secretary of State from 1917 to 1929 and was then elected Governor of the State of Illinois, serving from 1929 to 1933, during the Great Depression. Upon the death of Morris Emmerson, his heirs sold the property to Elbert Epler in June of 1913. In less than two months, Epler sold the property to John Moody. Mr. Moody began to remodel the house by removing the flue and fireplaces, building new partitions to form a hallway from one front door to another opposite door in the rear. He also tore out the stairway from its location in the back porch and installed a stairway in the central hallway. He enclosed the remainder of the back porches to form four more rooms; adding two more at the north end of the ell. Moody also laid new floors in the two front rooms of the lower story. Later, he also added electricity and water. This then is the present rambling house of thirteen rooms. In July of 1939, Dr. Walter Wheeler asked the American Legion Post to sponsor an organization to collect and preserve data and relics relating to Edwards County history. The Legion appointed a committee consisting of Clarence Horton, Fred Stroup, and Harry Glover to study the matter and on August 21, 1939 the Edwards County Historical Society was formally organized, with Dr. Wheeler as its first president. Local historian Edgar Dukes was appointed the first curator. From the beginning, the society has been dedicated not only to preserving Edwards County history but also encouraging historical and genealogical research. An extensive library has been part of the museum since its early days in the Albion Public Library building. 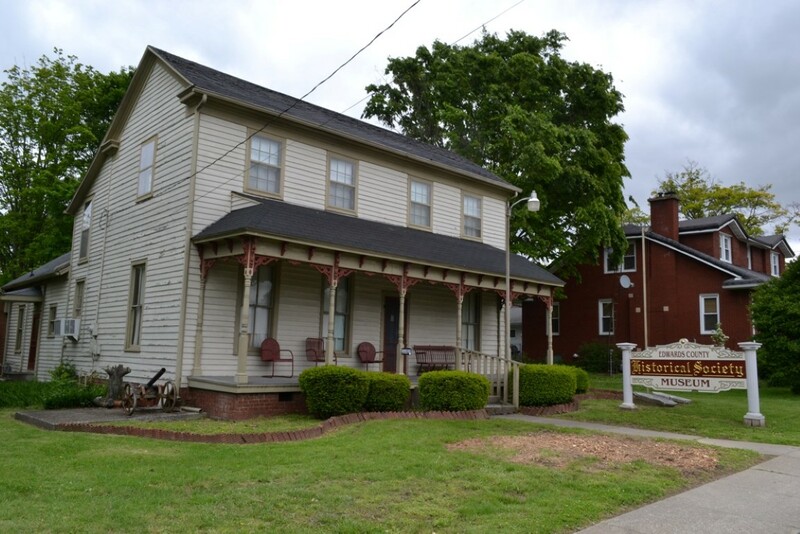 In 1941, with support from Gilbert Jones and Mrs. Louis Emmerson, Dr. Wheeler bought the birthplace of Governor Emmerson at 212 West Main Street which became the permanent home of the Edwards County Historical Society. 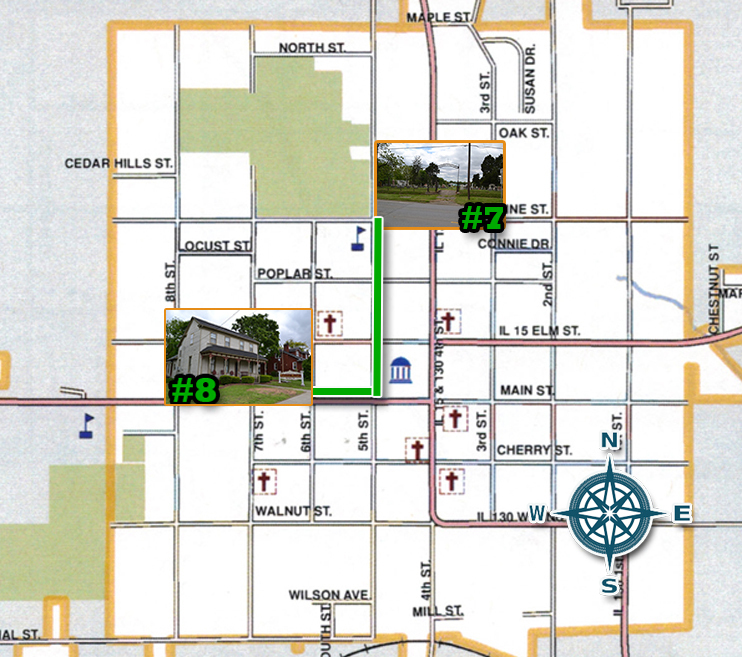 The historical society has published two books of historical and genealogical information pertaining to Edwards County; the first in 1980 and the second in 1993. Funds to maintain the museum and other historic buildings owned by the historical society are provided primarily by membership dues, publication sales, and donations. Membership in the historical society is open to anyone interested in the preservation of Edwards County History. The historical society building is open for touring and research each Thursday evening, from 6:00 p.m. to 9:00 p.m., April through November, except for holidays. 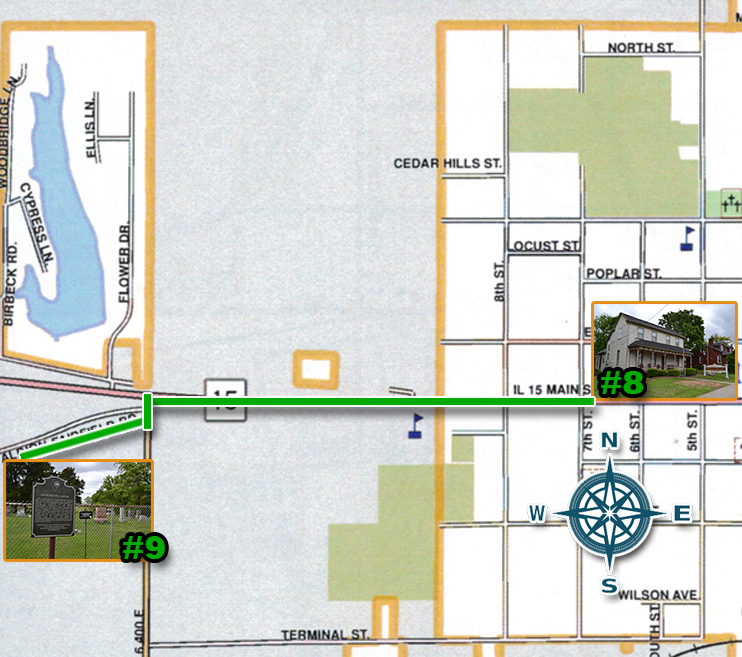 To reach Wanboro Cemetery, proceed west on Main Street (Illinois Route 15). Follow it to County Road 400E (It is the first road to the south of the 55 mph sign). Turn onto it, then immediately turn right onto County Road 880N. Follow the road approximately 1 ½ miles; the road will bend slightly to the left and the cemetery, which is enclosed by a fence, is located to the right, about 500 feet off the road. It is accessible by an old entry road.